Avocado oil, pressed from the fruit of the avocado, is one of the few plant oils not obtained from a seed. It is tolerant of high heat, making it a good oil for cooking. Avocado oil contains high concentrations of unsaturated fats and vitamin E. While not all the proposed benefits of avocado have been the subject of thorough study, some benefits have been documented in peer-reviewed literature. Avocado oil may an ingredient in your next bottle of mouthwash. Authors of a study published in the June 2010 issue of the journal "Revue de Stomatologie et de Chirurgie Maxillo-Faciale." Natural extracts from some plants provide antiseptic properties -- meaning they might kill bacteria responsible for tooth decay and bad breath -- as well as anti-inflammatory properties that prevent harmful inflammation in your mouth. Avocado oil may prevent periodontal disease -- a progressive disease that can damage your jaw bones and cause tooth loss -- by decreasing inflammation in the gums, according to a study published in the December 2001 issue of the "Journal of Periodontology." 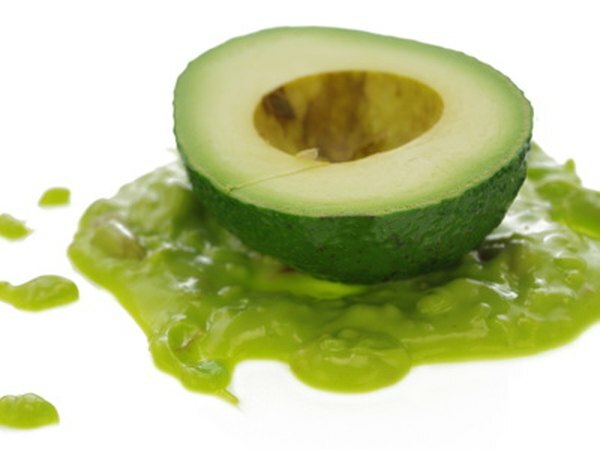 In the tissue culture study, low doses of avocado oil were more effective than high doses at inhibiting tissue-degrading enzymes, indicating that it might stunt tissue damage in gum disease. A study published in the February 2003 issue of the "Journal of the American College of Nutrition" found that avocado oil is comparable to olive oil as a heart-healthy dietary oil. In the study on laboratory animals, researchers compared the atherogenic effects of avocado oil with coconut, olive and corn oil. The oils comprised 14 percent of the animals' diets for 90 days. Coconut proved to be the most atherosclerosis-promoting oil of the group. High density lipoprotein, the good form of cholesterol, was highest in animals fed avocado or corn oil. Avocado's rich flavor makes it a welcome addition to your diet. Used as a cooking oil, avocado oil adds richness to sauteed vegetables -- try it paired with summer squash and kale for a colorful and nutrient-packed dish. Drizzle avocado oil over fresh homemade grazpacho in the warmer months, or combine it with balsamic vinegar for a healthful salad dressing.